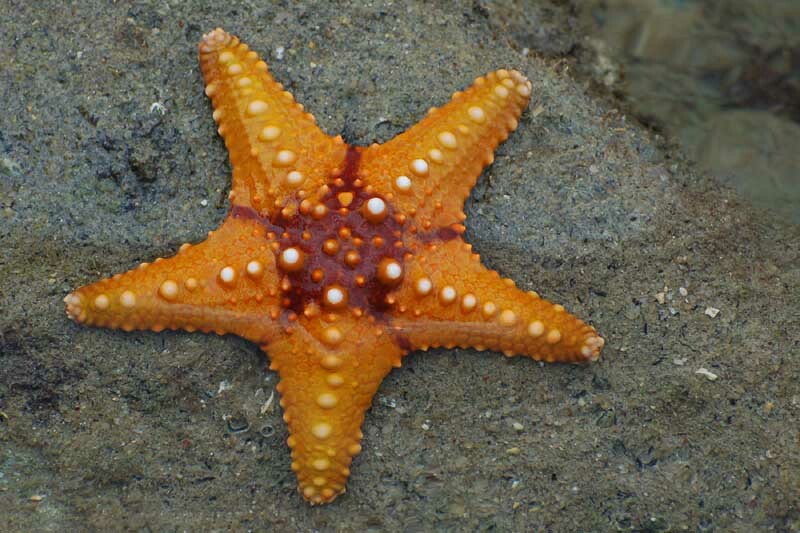 Information on this page may change as updates occur. * If you don't know who your Unit Director is click Officers. The room will be open daily 10:00 AM- 09:00 PM for refreshments, coffee, beer, wine, soda, water & snacks. There will be a $25 registration fee when registering for the reunion and Banquet. This charge is to cover the association’s expense for the reunion and you will be posted to the association roster as a paid member for 2018. Those members who have paid their current membership dues will not be charged a registration fee unless they want to pay for 2019 dues. Officers Setup Hospitality Room for reunion. On your own. Select a tour or sightseeing venue of your choice at "Tours & Places to Visit" section. ​On your own. Select a tour or sightseeing venue of your choice at "Tours & Places to Visit" section. Meet & greet in the hospitality room. 5:30 PM - To be determined: Informal complimentary meal/self service bar at Hotel. 630 PM - 10:30 PM: Banquet at Patriots Point on the Yorktown Aircraft Carrier. 6:30 PM - 7:30 PM: Banquet social hour with complementary appetizers. 7:30 PM - 8:00 PM: Presentation of the colors. National Anthem sung by Joyce Woods. Taps with the throwing of a wreath overboard in honor of the fallen. 8:00 PM - 10:30 PM: Welcome by President Tom Myles. Grace and dinner. Guest speaker and announcements. 6:30 PM - 10:30 PM: Cash Bar. Reunion comes to a close after breakfast. Thanks for coming and have a safe trip home. 6;30 - 7:30 social hour at the banquet. Mac Burdette has served as the Executive Director of Patriots Point Development Authority since 2010. He is responsible for the operation and management of the Patriots Point Naval & Maritime Museum and for the development of almost 400 acres of property on the Charleston harbor. Before assuming the duties of Executive Director at Patriots Point in 2010, Mr. Burdette served for 26 years as the city administrator for the Town of Mount Pleasant, South Carolina. Mr. Burdette received both his undergraduate and graduate degrees from Clemson University. He served in the US Army and Army Reserve for 30 years, retiring with the rank of Colonel in 2003. Among his military assignments, Burdette served in both company and battalion command, as the Chief of Operations for the 108th Division, and as Adjutant for the 1189th Transportation Terminal Brigade. Burdette served in Operation Desert Storm in Southeast Asia. A native of Simpsonville, SC, Mr. Burdette and his wife, Ann, currently reside in Mount Pleasant. 9:00 AM Pickup at hotel for 6:00 PM return. Morning, Ft Sumter by boat from from Liberty Point downtown. Duration about 2.5 hrs. Early Afternoon. Boone Hall Plantation, Mt Pleasant. Lunch not included. Restaurants on site. Other options available. Click on above picture for more details. 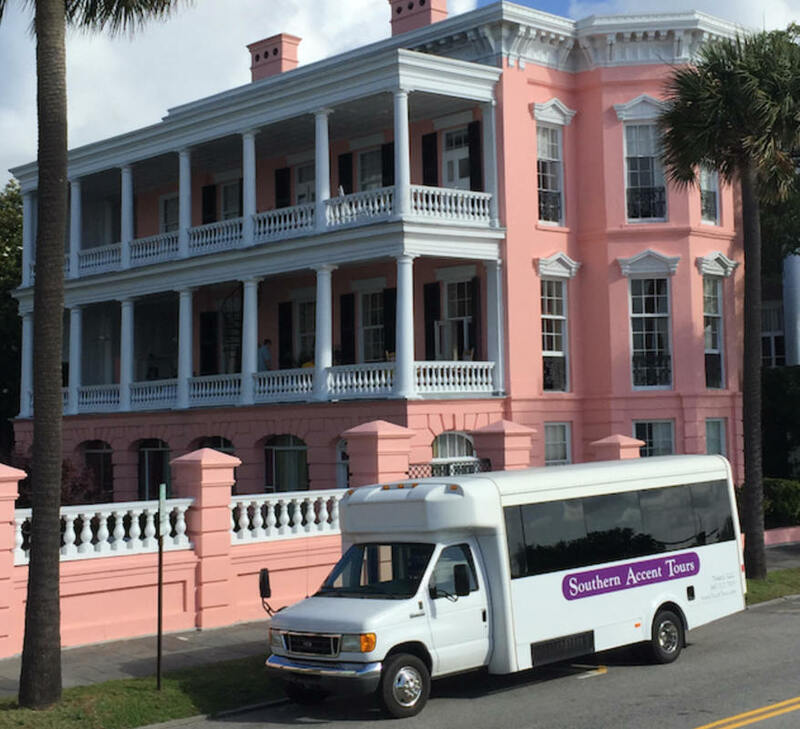 Harbor Cruse: Carpool or Uber taxi to Spirit line Cruse at Patriots Point for a 90 minute harbor tour. $22.00 senior rate. Departs at 11:00 AM & 3:00 PM. Click picture for information and schedules..
​This is the only tour passengers disembarks to tour the Fort. 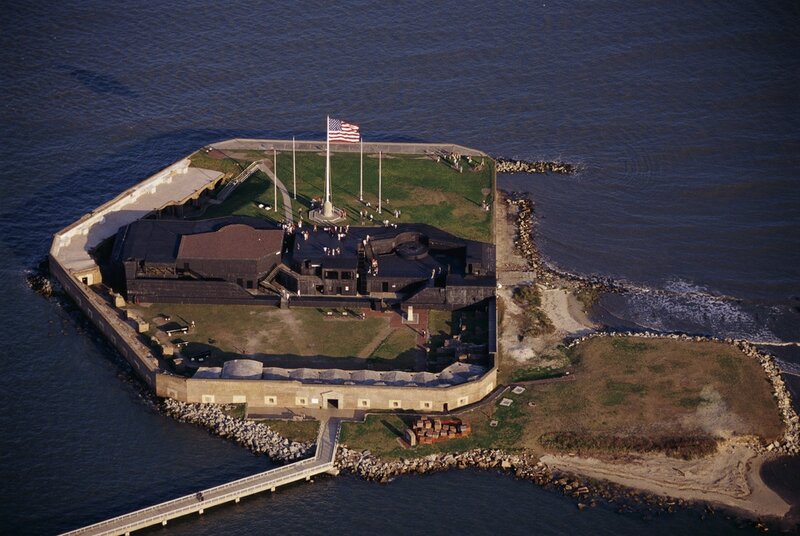 Click picture for information about Ft Sumter. 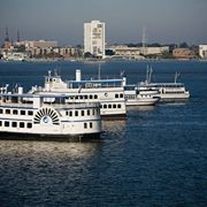 Water Taxi can take you from Patriots Point to Charleston Harbor Marina, Then to Waterfront Park Charleston, then to Charleston Maritime Center, and back to Patriots Point based on a schedule. Click picture for information and schedules. ​All day pass $12 per person. Water Taxi stops one block from Aquarium. 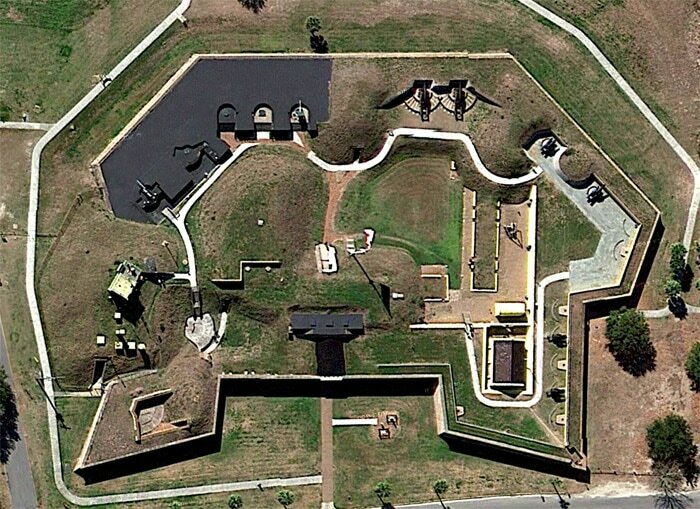 For additional information about where and how to get to the Fort click HERE. 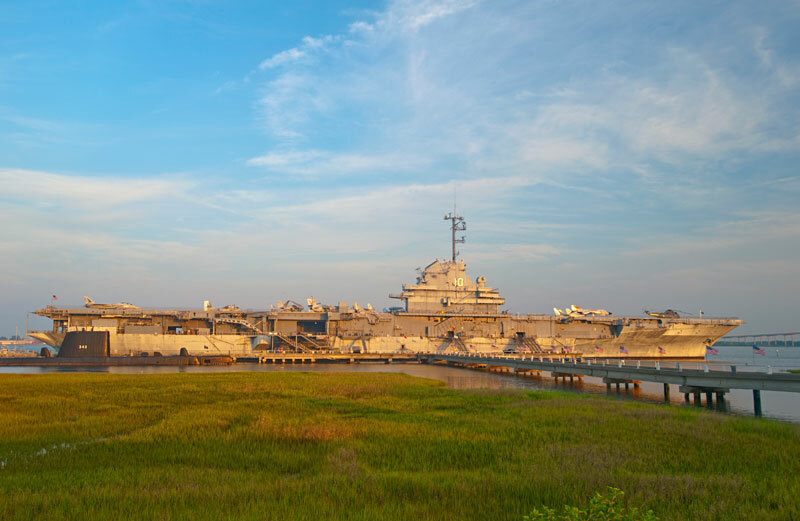 Includes USS Yorktown, USS Laffey, USS Clamagore, Vietnam Experience, Cold War Memorial and Medal of Honor Museum. Charleston Convention/Visitors Center. 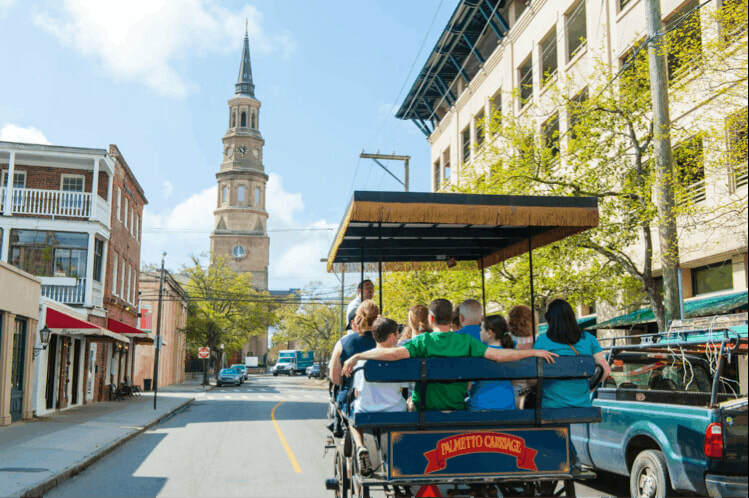 To find out more about Charleston click HERE.